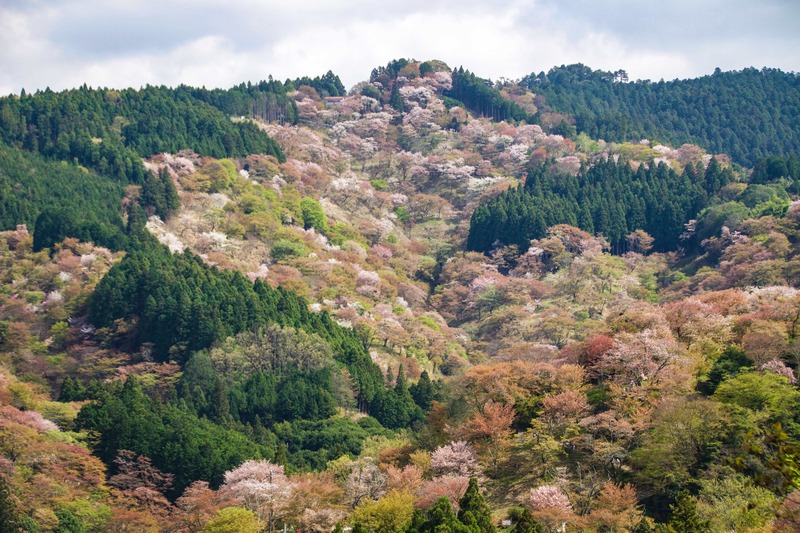 Looking For Cherry Blossoms? Hike Up Mt. Yoshino! Mt. 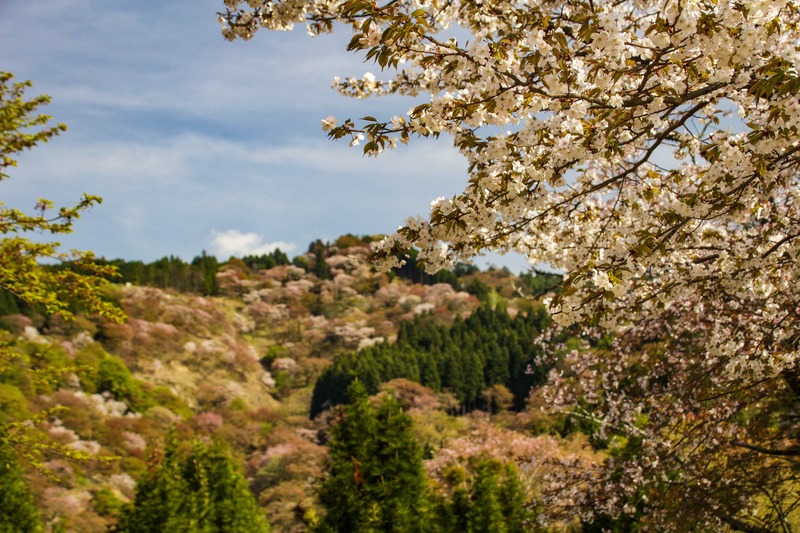 Yoshino is known to be one of the best places in Japan to spot cherry blossoms. 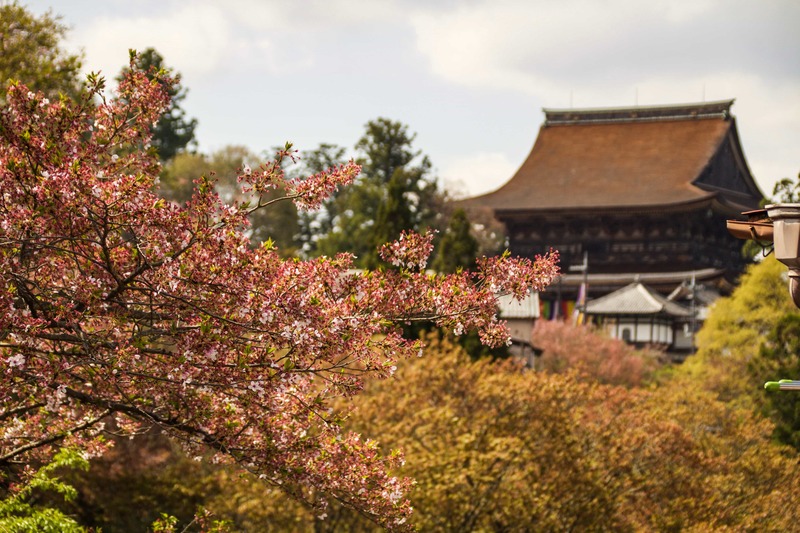 Despite it being the tail end of the cherry blossom season, we decided to stop in Yoshino on our way from Nara to Koyasan. A bit out of the way, but very worth it. 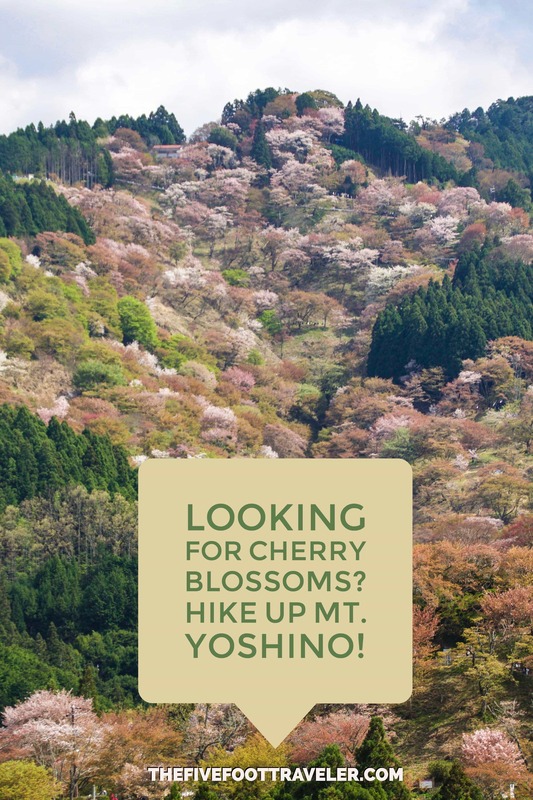 While I had thought that Yoshino would just be a pretty hike up a mountain, it ended up being a very cultural experience as well. The whole way up was like shopping in the local markets, so we decided to try regional cuisine along the way: cherry blossom anman (a pastry stuffed with sweet red bean paste), rice crackers, yomogidango (mochi dipped in soy sauce and sugar syrup), yokan (sweet bean paste) topped with cherry blossom jelly, green tea/cherry blossom ice cream (which tastes like pistachio! 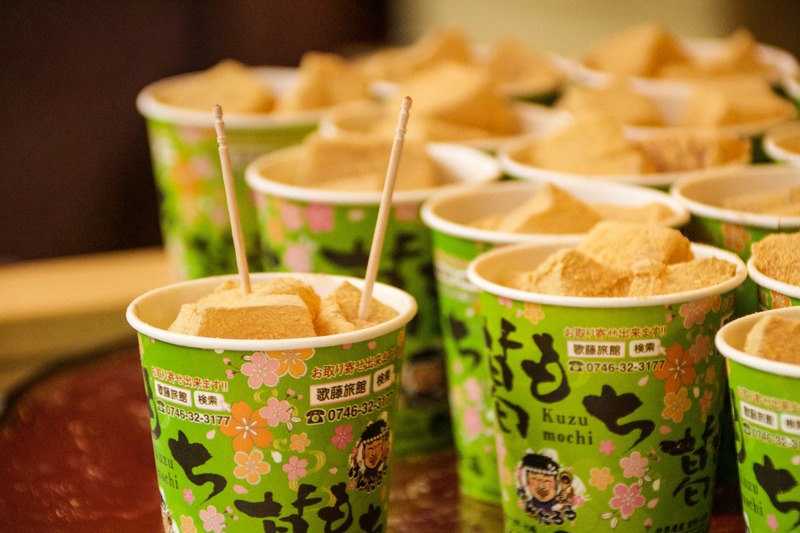 ), and hot kuzumochi (arrow-root starch dumplings) with soy bean powder and kuromitsu (brown sugar syrup). YUM! 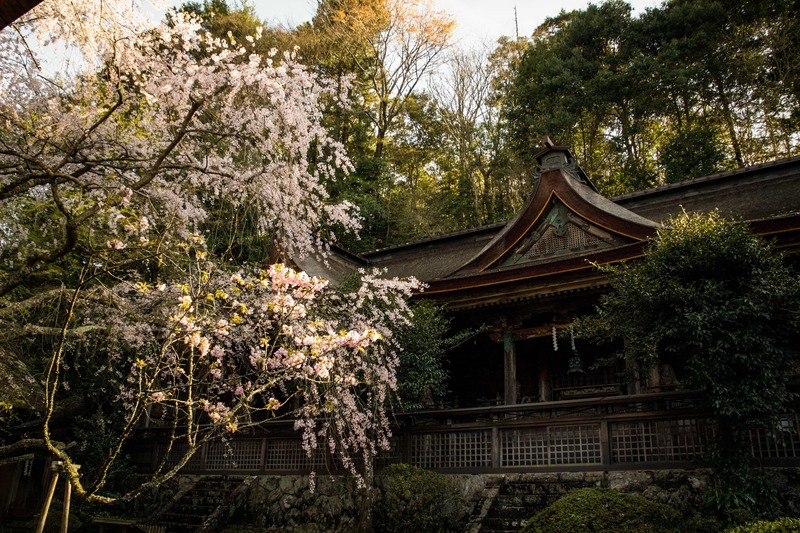 You can also stop at numerous temples and shrines along the way. We chose not to enter any. 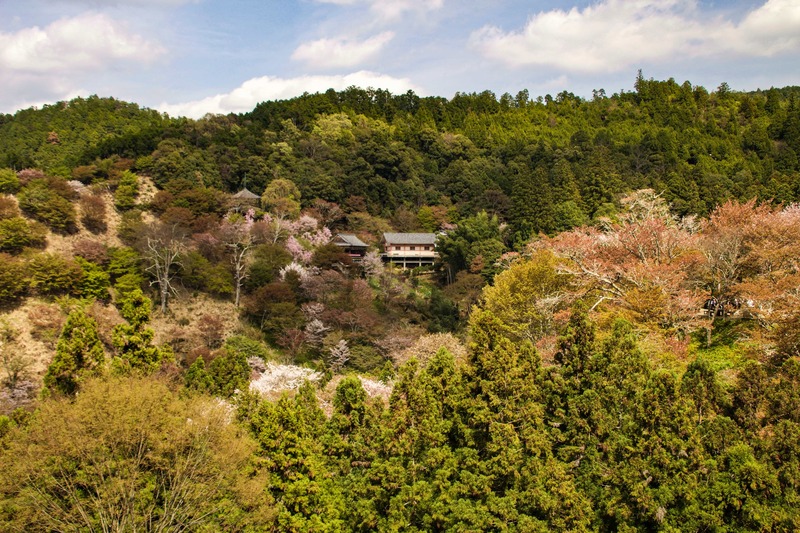 The best view is definitely from within the Yoshimizujinja Shrine grounds. Make a donation for the restoration of the shrine, and take in the views! Towards the end of the walk, near the top of the mountain, a professional photographer will also take your photo for free. While he, naturally, wanted you to buy his shot, he was more than happy to snap a photo for us free of charge with my camera as well. The walk as a whole was a beautiful and peaceful way for us to spend an afternoon. If you could time it perfectly with the cherry blossoms in full bloom, I’m sure it’d be as astonishing for you as for me! Interested In Mt. Yoshino? Pin It Please! 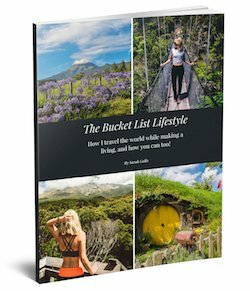 **Special thanks to Japan Experience for sponsoring my journey. As always, all opinions are my own.